West Windsor, N.J. – Perhaps Hamilton resident Sierra Downs, a 2013 graduate of Mercer County Community College, was saving the best for last. The National Junior College Athletic Association (NJCAA) announced on Monday that they have awarded the 2013 Lea Plarski Award to Downs, who competed on Mercer’s women’s cross country team for two years and was named an Academic All-American in 2012 and 2013. The team qualified for nationals during both seasons. According to the NJCAA, the Lea Plarski Award is given to one female athlete annually in honor of the former NJCAA president who helped to establish the organization’s Women’s Division in 1975 and was its first female president (1990-1996). This is the first time an MCCC athlete has been a Plarski award recipient. A committed athlete who also ran cross country at Steinert High School, Downs extended herself in virtually every area of college life at Mercer. She served as president of Mercer’s NJ STARS Club, and was a senior reporter and copy editor for the award-winning College VOICE student newspaper. She was also a member of the Philosophy Club. She participated in two faculty-led Study Tours, one to Costa Rica, where she stayed with a host family, and another to South Africa, where she and her classmates traveled around the country for 10 days. 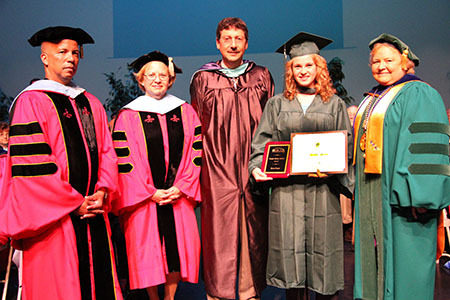 A top Honors student, Downs was named MCCC’s 2013 Female Student Athlete and was also selected for the Dr. Cynthia Schaffer Memorial Scholarship, announced at the college’s 2013 Honors Convocation. She earned her associate degree in Liberal Arts. Downs’ commitment to community service has been as outstanding as her academic and athletic achievements. With the help of her cross country coach, Erin Cahill-Wetzel, she organized a brigade of runners to travel to Belmar, N.J., to assist with Hurricane Sandy clean-up. Following the Boston Marathon bombings, she organized a “Spirit of Boston” 5 K run on the MCCC campus to raise money for Boston Children’s Hospital, where many of the victims were taken. Noting Downs’ drive and her unflaggingly positive attitude, Coach Cahill-Wetzel says that Downs has been a natural team leader, serving as team captain last season. Cahill-Wetzel believes that Downs’ discipline and dedication to running predicts future success. “The requirements for success in cross country are character building. They help students push themselves harder in whatever they challenges they take on and Sierra’s accomplishments are proof of that,” Cahill said. 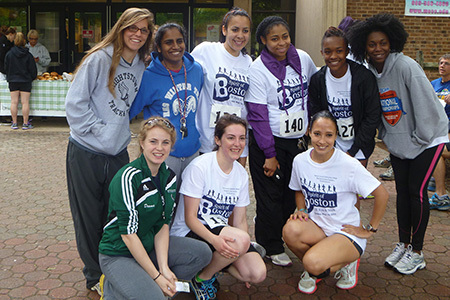 Sierra Downs, front row, left, at the "Spirit of Boston" 5K run with cross country runners Melissa Clair, kneeling second from left, and Hixlayne Cuetia-Rodriguez; standing from left: Rachel Wilson, Kira Costantino, Diana Taveras, Charlay Dingle, Karizma Brown and Anajae Register. Graduate Sierra Downs at the college’s Honors Convocation with, from left, Vice President for Academic Affairs Guy Generals, Executive Dean for Student Affairs Diane Campbell, Assistant Dean for Student Affairs/Athletics Director John Simone and MCCC President Patricia C. Donohue. 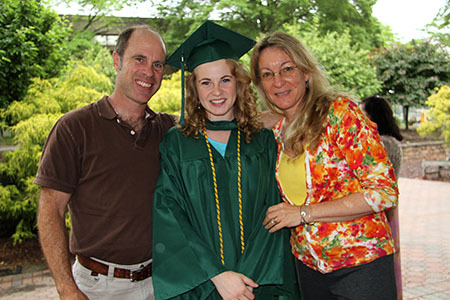 Sierra Downs with her parents, Eric and Mare, at MCCC’s Honors Convocation May 23. In the fall, Downs will transfer to Boston University’s College of Health and Rehabilitation Sciences to study Speech Language and Hearing Sciences. Her long-term goal is to become a certified bilingual speech-language pathologist.